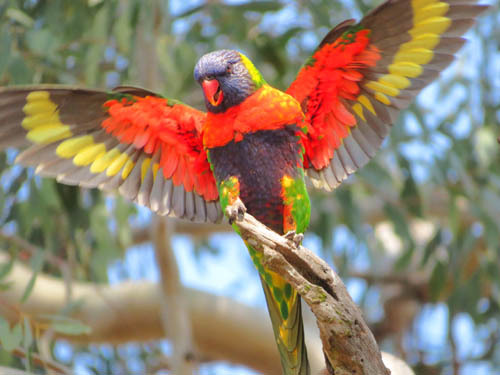 See many of Sydney's fantastically beautiful birds with this series of guided birdwatching outings which can be enjoyed individually or in combination with each other. 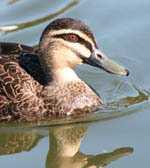 Perfect for interstate or overseas visitors, these birdwatching outings start and end at your Sydney accommodation. The exact itinerary of each tour will vary to take best advantage of seasonal changes, bird migration and recent sightings. 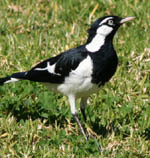 More than 300 bird species are seen in Sydney each year and we can reasonably expect to see around 50 to 75 species of birds on any given day, even in winter. 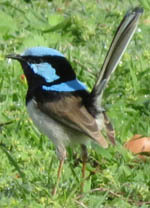 Sydney is the perfect place to start your Australian birding holiday. 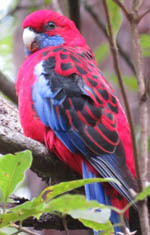 Today we'll search for Superb Lyrebird, Laughing Kookaburra, Sulphur-crested Cockatoo, two types of fairy-wrens and numerous bush birds including parrots in a mixture of habitats from temperate rainforest to coastal heathland. We'll have a chance to look for seabirds such as Australasian Gannet from Sydney's spectacular cliffs plus we'll look for the stunning Azure Kingfisher as it dives for fish in a freshwater creek. 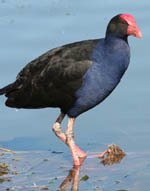 We'll also have time to look for waterbirds such as the Black Swan plus godwits and oystercatchers on the shores of Botany Bay. This area is very scenic and is a "must see" if you only have one day in Sydney. 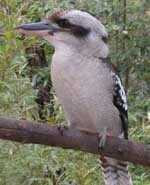 This area of Sydney has a great diversity of habitats such as forest, woodland, wetland and grassland. 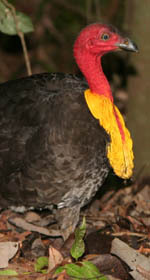 The result is an equally great diversity of bird species. 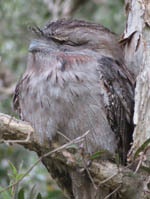 We'll look for birds such as Superb Fairy-wren, Eastern Rosella and Satin Bowerbird in the forests, Chestnut Teal and Royal Spoonbill in the wetlands, Zebra Finches in the grasslands, while the skies above us hold many species of raptor such as Nankeen Kestrel and Wedge-tailed Eagle. Kangaroos are also seen on most trips to this area. The principal attraction in this area is a rock platform jutting out into the ocean. At low tide we will walk out looking for seabirds such as Crested Tern and shorebirds such as Sooty Oystercatcher and Ruddy Turnstone. 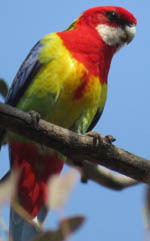 The area also has forests and wetlands allowing us to search for small bush birds like Spotted Pardalote and Brown Thornbill and colourful birds like Rainbow Lorikeet. This outing is physically tougher than the others because of the nature of most of the tracks. 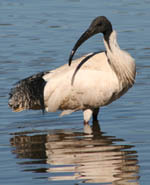 This six-hour tour is for those who are short of time or would like a quick introduction to Australian birds. It is also a very good option in summer when the temperatures can be very high and birding in the afternoon is not so productive. The tour starts at 7am and finishes at your accommodation at 1pm (start and end times are one hour earlier in summer). 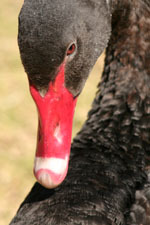 We travel to a variety of habitats near your accommodation. Less driving gives us more time for birdwatching. Since the morning is almost always the best time of day to see birds, this tour can be quite productive. Please note: this tour does not include lunch. 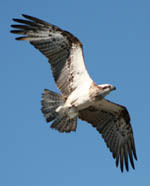 Itineraries are flexible so we can seek out birds on your wish list. 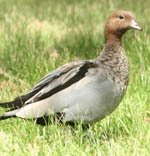 Naturally, sightings of particular species can not be guaranteed but we'll give it our best shot. Each day starts at 7am when you are picked up from your accommodation. Have breakfast beforehand or bring it with you to eat on the way. 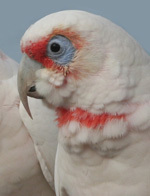 Peak hour traffic can slow us up but we should be birding by 7.30am or 8.00am depending on how far we need to drive. 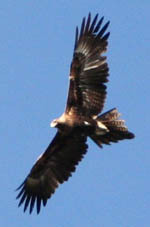 We will explore a number of locations and habitats in order to see a good diversity of bird species. 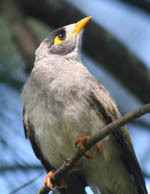 We'll have morning tea and lunch in spots where we'll be able to continue birdwatching. We return to your accommodation about 4pm. 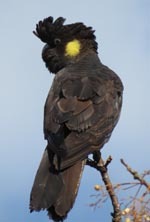 The price of the tour includes transport for the day, entrance fees, guiding services, use of telescope and field guides plus morning tea and lunch. In summer, because we start early, it also includes breakfast. It does not include dinner nor does it include your accommodation. The Morning Tour is like the other tours except that it lasts for six hours and does not include lunch. We travel to areas near your accommodation in order to reduce driving time and increase our time spent birdwatching. Summer in Sydney can sometimes be very hot particularly in the afternoon. This makes birdwatching uncomfortable and often not very productive because many birds will be sitting quietly in the shade. So from November to February we start at 6am (or even earlier) and do most of our birdwatching in the cool of the morning. We return to your accommodation about 3pm (or noon for the Morning Tour). We will often be walking on bush tracks which occasionally can be rough, rocky and muddy but they are never very steep. Participants need to be of reasonable fitness and capable of walking unassisted. Usually we will stroll for short distances at a number of locations throughout the day. 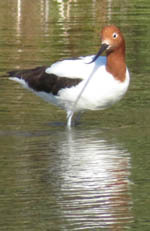 We will also sit in birdhides and see birds from the car. We do not go on lengthy marches. Participants should bring a pair of binoculars. Feel free to bring your own telescope although one is available for you to use. A field guide is useful (see recommendations below) although a selection is available for you to read. Sun screen, insect repellent, hat, water bottle, sensible footwear and a rain jacket are recommended. 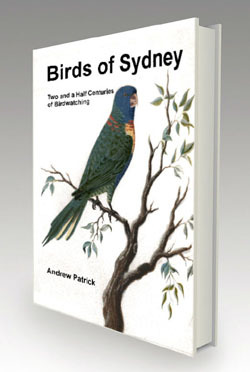 Andrew Patrick is the author of Birds of Sydney - Two and a Half Centuries of Birdwatching, a discussion of all bird species recorded in Sydney since 1770. 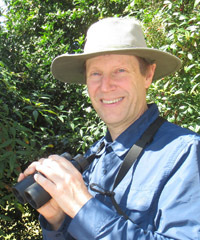 Andrew also created and hosted Australia's first birdwatching TV series "Let's Go Birdwatching". 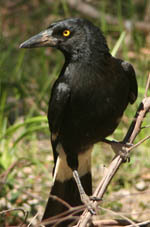 He is an occasional radio guest plus he conducts beginner outings and bird surveys for several Sydney councils. 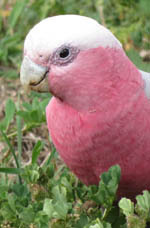 Andrew is a former Vice President of the Cumberland Bird Observers Club in Sydney and has led outings for the club since 1999. 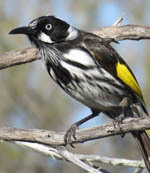 He has been a professional bird guide since 2003 and has a particular interest in teaching beginners and members of the public the practicalities of birdwatching as well as showing everyone the beauty of Australian birds. 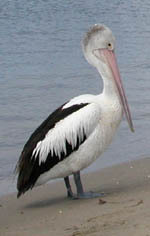 Andrew has participated in numerous conservation projects. 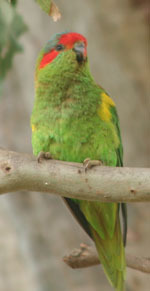 He has helped reintroduce Gouldian Finches at Mareeba Wetlands, planted trees for Regent Honeyeaters in the Capertee Valley, searched for Gould's Petrel nests on Cabbage Tree Island, surveyed Ground Parrots at Barren Grounds Nature Reserve and monitored nesting behaviour of Little Terns at Nowra. As well as travelling extensively around Australia, Andrew's zest for birds has also taken him to New Zealand, Antarctica and to South Korea where he surveyed migrating shorebirds. 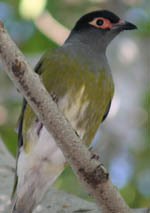 "We wish we had your skills at identifying species by sound plus your speed at spotting birds. May we thank you most sincerely for your time and detailed local knowledge. The day spent with you was one of the most memorable of our holiday." "Thank you very much for your excellent guiding services. 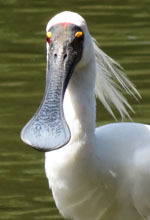 I was astounded by the number of new birds that I was able to photograph, thanks to you." "I had a wonderful time and look forward on scheduling another outing the next time I am in Sydney." "I want to thank you for those 4 wonderful days. Not knowing your birds, I would have missed a lot without you. I was very happy with what we saw and came home with many beautiful images. 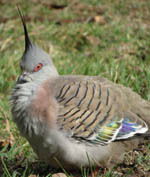 You have admirable skill as a birder and I truly appreciate your knowledge of the various habitats in and around Sydney." "Thanks again for the special day. The whole group commented on how they appreciated learning so much and the very wonderful way to see the colorful birds in their habitat." "Thanks again for a great day out yesterday - about 76 birds by my count - and 57 of those were lifers for me! So I am well chuffed." "It was a pleasure to go bird watching with you. Thank you for showing us all the beautiful places as well as many birds that we wanted to see. Also thank you for breakfast and lunch." "Just about to fly out of Sydney and would like to say a big thank you for an excellent day's birding, and providing us with an excellent lunch." "You gave us a tremendous start to our trip. We really appreciated your skill and dedication. All three days out were delightful. Thank you very much. I reckoned you found us 106 species as well as taking us to some lovely locations. And managing to see dolphins just before we left you was quite a coup." 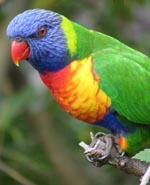 "Thank you again for a wonderful birding experience during our 3-day stay in Sydney. 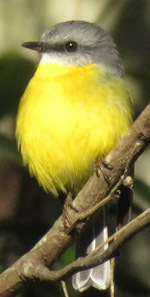 We saw and photographed so many beautiful birds thanks to your expert guidance." 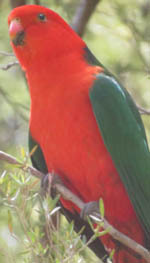 "Even though it's been a few months since our 2-day Australia birding adventure with you, we are still talking about it. It was the highlight of our vacation. 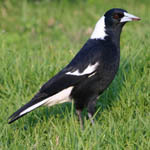 My mother and I have discussed returning to Sydney, primarily to go birding with you again. Your birding skills are really superb. We saw so many more species than we thought we would. In addition, we truly enjoyed your company and the wonderful snacks and lunches you provided for us! We sincerely hope to see you again in the future. We wish you all the best. Thank you again for such a wonderful experience." "Bobby and I want to thank you so much for an excellent day's birding. 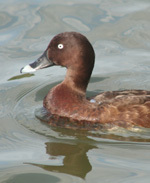 We had such clear views of some of the species, which have made a lasting impression on us. We both appreciated your expertise and patience and also the care and concern shown to us with regard to our meals that day. Altogether, an experience which has whetted our appetite to return for more." "Am so glad I booked the three days with you, as these were the highlight of my trip and I would have missed so much without the birding side. 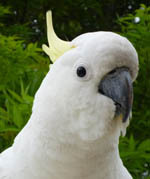 Thank you for your expert knowledge and for taking me not only to the best birding sights but for giving me an overview of the outskirts of Sydney." More testimonials are on TripAdvisor. Click here. 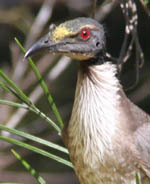 A list of recommended Australian Field Guides can be found at the Cumberland Bird Observers website. Click here.